Your introduction – the explanation of who you are and what you do – is vital for your networking success. It should include a strong statement establishing your credibility. What is it about you, your product or service, or business for which you work that would allow someone to trust you. It is important to note, however, that you really only have about 30 seconds to convey this. LOOKING FOR A MEANS TO HELP ALL THE TIME? LOOKING TO GET INTO THE BUSINESS OF HELPING OTHERS GET BUSINESS? Darren McNair, of McNair Petroff, LLC and member of the Arlington Chapter of AmSpirit Business Connections was quoted in a Business First article about the state of the economy as related to law firms. Click here to read the article. Click here to view member accolade. Dr. Brian Allard, of Columbus Chiropractic-Dublin and member of the Arlington Chapter, was featured on Daytime Columbus (NBC 4). Dr. Allard was a featured guest interviewed by Gail Hogan in a segment devoted to Chiropractic Care. The watch the video go to http://www2.nbc4i.com/online/daytime/ and click on the Health Source of Dublin video option. The Champion: Finding The Most Valuable Person In Your Network, co-authored by Frank Agin, AmSpirit Business Connections founder and president, was featured in an article on www.lewishowes.com. To read the article go to http://www.lewishowes.com/featured-articles/networking-champion/. It is easy to get holed up in your office or other workplace, busily doing what you do. Life is comfortable there. You have a computer … a phone … and a big comfy chair. Isn’t it just so easy to stay put? Don’t do the easy thing. Get yourself up and out of that chair and leave the office. Although none of this is direct networking, the action alone will propel you out amongst people – which will cause a powerful change to your mindset that will lead to networking. You can build a strong, productive network. You can have a network that leads you to all sorts of great contacts. You can have a network that connections you to incredible information. You can have a network that seems to be a never-ending spring of new business. You just cannot do it overnight. Great networks do not just spring up out of nowhere one day … or in a week … or in a month … or even a year. Building a networking is a process — a consistent vigil. To have the network that generates contacts, information and business commit to doing something every day. Every action you make and every effort you give is a small baby step to getting you the network you ultimately want. You should ensure that your business card reflects your professional image, as it has the power to have a dynamic lingering effect on those in your network. 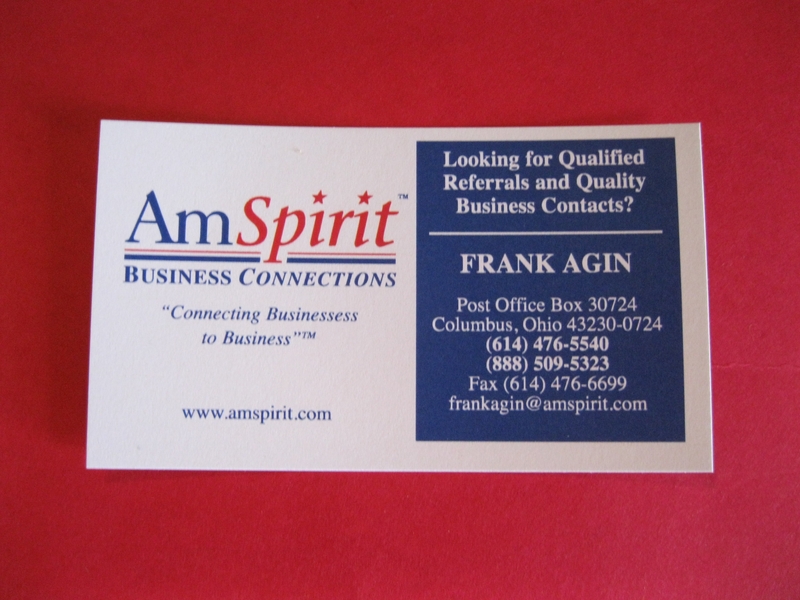 In fact, your business card is an integral part of your brand or corporate identity strategy. Thus, you should never skimp on the design or production of this marketing piece … yes, marketing piece. Professional layout and design. Check! Careful attention to colors. Check! Take every step to ensure that your business cards follow the same graphics standards for your business cards are as high as the rest of your communications materials, such as stationery, brochures, and letterhead.